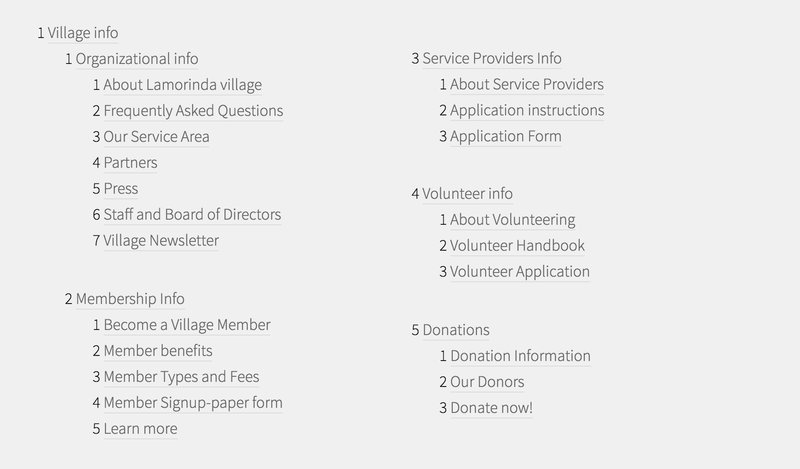 Village Goal: When trying to convince people to join the village, you want to have an attractive website that explains WHAT is a village. You can think about the website as a 21st century brochure. Once you have thought about the structure of your “brochure”, we recommend that you start writing the content of each page on whatever medium makes the most sense to you (Microsoft Word, Open Office, pen and paper). Once you have your content ready, the next step consists in publishing them online and finally taking care of the style of your website. Graphic Design: Make those pages look really good ! In technical terms, this is what we call a WYSIWYG editor that allows the person to make simple changes to the text and content of that page. If you don’t SAVE, the page changes won’t stick !! Once you have changed the content of the page, do not forget to hit the SAVE button ! 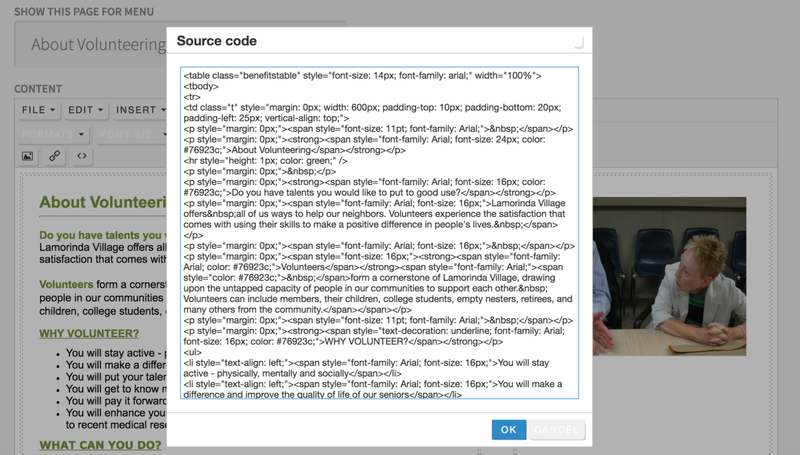 Hitting the source code button, allows you to open the “techy” HTML Editor. HTML is a computer-friendly Markup Language that is certainly hard to read for humans. The trade-off of the HTML editor is that it is harder to use, but gives the power to do virtually anything to people that are able to use it. 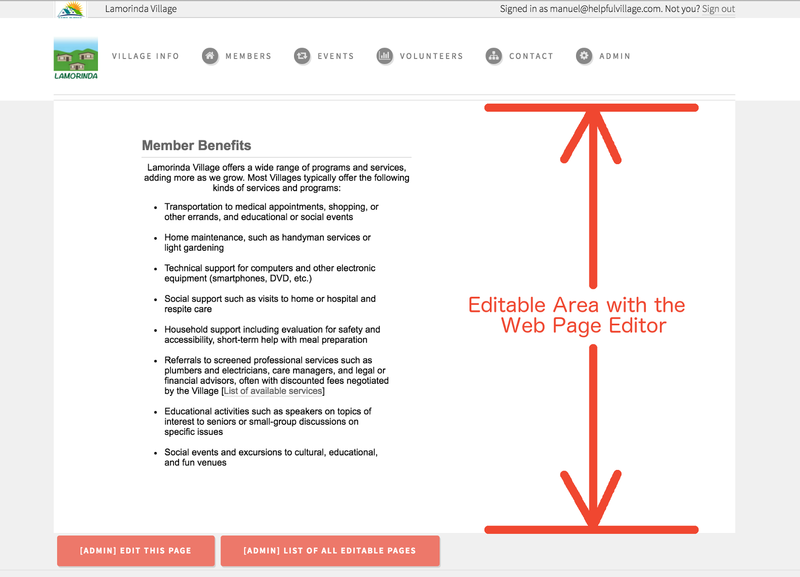 At this point, you know how to edit the web pages of your village website. The next step is to make them look good ! The best websites have a consistent style across the board, so we recommend you establish some design guidelines (color palette, page layout, etc). Making the webpages look good is not an easy task and you may need help from a graphic designer or a web designer. 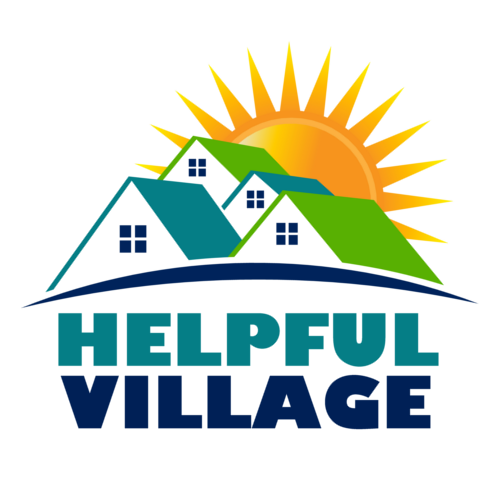 At Helpful Village, we love when villages have beautiful websites. A beautiful design makes the website more attractive and can make it easier to attract prospective members and sponsors. Helpful Village is not offering any counseling on the artistic side, so we invite you to find a local graphic designer or artist in your city that can help you design a great logo and a beautiful website style. The single most important thing to keep in mind when interacting with a designer is to take your time and go step-by-step with him/her. We recommend you ask the designer to focus on the artistic aspects of one single page. Before you ask a designer any code, we recommend you ask them to send you images (photoshop) of his/her proposal for any single page. Once, you have a single page design that really fits your village style, you may ask the designer to build the next five photoshop images, and then the next ten photoshop images. The last step is to code the photoshop design into actual HTML code. This means writing the HTML code from those photoshop images. We would like to underline that a good photoshop designer is not necessarily a good HTML coder (nor a good HTML coder is necessarily a good Photoshop artist). Those are two very different skill sets and only some people are really able to really master both.